Women are already paying the price for austerity in many ways – and now are forking out for it with their reproductive health. Many GPs in England have stopped providing some contraceptive methods because of cuts to public health funding – according to research by the Advisory Group on Contraception – leaving women with a limited choice of contraception. Methods such as intrauterine devices (IUDs) and the intrauterine system (IUS), as well as the contraceptive injection and the implant, are either no longer being provided or are at risk of being removed by one in three councils, according to research first published by the BBC's Victoria Derbyshire programme. And perhaps most concerning, a quarter of councils have already shut – or may close – some of their contraceptive services, which are mostly funded from the public health budgets of local councils. In the last few years, funding for councils has been slashed. In July 2015, former chancellor George Osborne announced that public health budgets would be cut by £200m up to April 2016. As a result, women's contraceptive choices have been curbed, regardless of guidelines that state a choice of all methods should be offered. "We regularly speak with women who have experienced difficulties accessing contraception, and this report provides clear evidence that these aren't isolated cases," says Katherine O'Brien, media and policy adviser for British Pregnancy Advisory Service. According to British Pregnancy Advisory Service (BPAS), a third of women live in areas where contraceptive services are restricted. O'Brien says that services should be protected in a way that acknowledges the important role contraception plays in women's lives and their health. "Not only are services being shut down, but women who do manage to access a clinic are then being denied the full range of options on the basis of cost – including some of the most effective methods. Women should not have to 'put up' with a method of contraception that does not work for them, and we should take women's concerns about the side-effects of different methods seriously." Restricting women's access to contraception costs more money in the long run. "Cutting contraceptive services is a completely false economy. There is clear evidence that any 'savings' made actually cost significantly more in the long-term – contraception is an investment, not a luxury. Genevieve Edwards, the UK director of policy for Marie Stopes, warns budget cuts to contraceptive services could mean more unplanned pregnancies and more abortions. "Through our services, we meet thousands of women who haven't had access to effective contraception or the full range of options. For the majority of women we see, it is the short-term contraception methods that failed them," Edwards says. "Limiting that choice further still is enormously concerning and could mean more unplanned pregnancies and more abortions. It's vital that we protect the funding needed to continue the progress made over the last 10 years and give women the contraceptive services they deserve." And the budget cuts come at a time when women are already paying a high price for contraceptives. In England, women pay up to £30 for the most basic form of emergency contraception – otherwise known as the morning after pill – five times more than in other European countries. One of the reasons for the high price of the emergency contraceptive pill is because of the process women have to go through to get it. It is kept firmly behind the counter, meaning women have to go through an unnecessary and embarrassing consultation before buying the pill. And as sexual health service providing free emergency contraception also face cuts, more women will have no choice but to buy it to avoid unplanned pregnancy. Emergency contraception is available for free from GPs and sexual health clinics, but appointments are can be hard to obtain and services increasingly restricted amid cuts to public spending. ‎Some pharmacies take part in local programmes to provide emergency contraception free of charge, but they often serve only young women, and the service is only available from certain pharmacies and when the pharmacist is on site. It has been 15 years since the progestogen-only emergency contraceptive Levonelle One Step was first made available to women from behind the counter in pharmacies in the UK. The price was deliberately inflated to prevent women from using it as a regular method of contraception, but since its introduction, the use of emergency contraception remains low. Yet even though the majority of women rely on condoms and daily hormonal pills, the emergency contraceptive pill is still expensive for women to use if their usual methods fail. 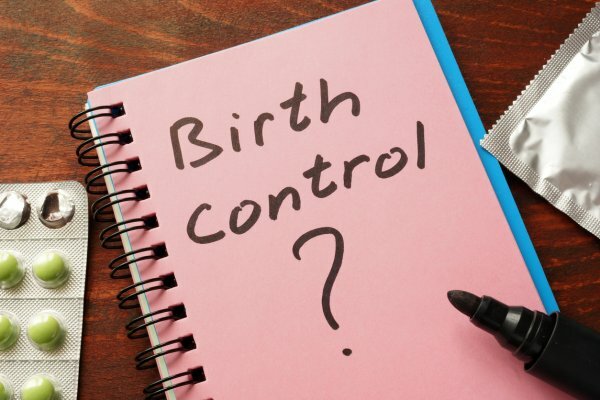 "It is utterly stupid that we have made a medication which gives women a second chance of avoiding an unwanted pregnancy so hard to obtain," ‎Ann Furedi, chief executive of BPAS, says. "People are trusted to use a wide variety of medications sold on the shelves of pharmacies in a sensible and appropriate way. Emergency contraception should be no different. It's time to ditch what is the ultimate sexist surcharge and put emergency contraception where it belongs – on the shelf, at a price women can afford."